He said he is now planning to join a new technical group in opposition. 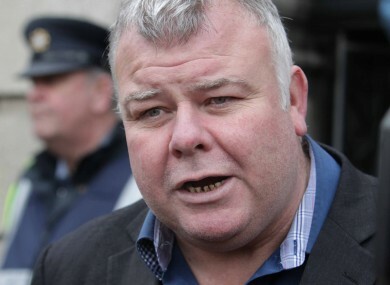 MICHAEL FITZMAURICE HAS announced he is leaving the Independent Alliance. The TD was the only member of the grouping not to support Enda Kenny’s nomination for Taoiseach and this evening he said he had given “serious consideration” to his future in the alliance in the last few weeks. He had “no choice but to leave”, he said. As a member of the grouping, being the only member in opposition, I would not be allowed to have leaders questions or priority questions and access to speaking time would be very limited. I feel I would not be able to adequately represent my constituents in Dáil Eireann under these restrictions, and that is why I have decided to leave the Independent Alliance. The independent TD said he intends to support the government on votes he feels will benefit society at large and oppose them on votes he believes are not in the interests of the people. His plan now is to join a technical group to get adequate speaking time, but he has not indicated which group that will be. “It has become very clear to me in recent days, considering the criticism directed at some government TD’s for expressing their opinions, that until the issues surrounding turf cutting are resolved and ordinary people are no longer criminalised for exercising their rights, that I could not be member of any government,” he said. Email “Michael Fitzmaurice is leaving the Independent Alliance”. Feedback on “Michael Fitzmaurice is leaving the Independent Alliance”.